This involves standardized processes and leverages best practices and evidence-based medicine, but is completely personalized to the individual. It means meeting the patient, their advocate, and thecare team where they are with the right technologies and actionable intelligence about medical needs,an understanding of psychosocial factors, and anticipated barriers to success. 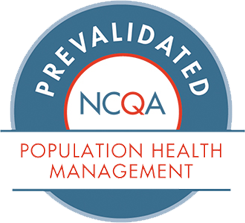 Ten disease programs included in certification status granted to organizations that meet or exceed NCQA’s standards for Disease Management certification.